JOCAVI™ was born in 1992 as a manufacturer of acoustic panels, it is a worldwide company specialized in developing and manufacturing acoustic treatment materials for the professional audio industry. With more than twenty years of international experience, JOCAVI establishes itself in the United States in order to produce and deliver its products of excellence to its USA customers. We have the solution for the most demanding ears, be it for Auditoriums, Concert halls, Audio Studios, Video Studios, Radios, TV’s station, Cinemas, Sports halls, Industrial pavilions, Swimming Pools, Public Spaces, Commercial, offices etc., even for your own listening room at home. JOCAVI™ presents acoustic treatment panels, which blend well with any decoration and are easily mounted on ceilings or walls. 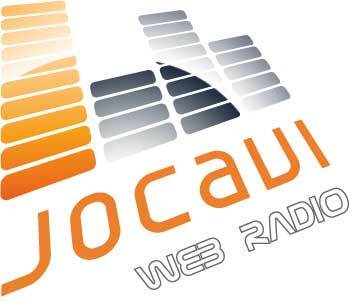 JOCAVI™, an INTERNATIONAL reference in the world of acoustics. JOCAVI™ brand is renowned by the excellence and high performance of its products. It became a high-end leading brand in acoustics for the professional Audio industry. ATP® The cost-effective brand with easy installation Room Packs. It was created in October 2009 and inherited the quality of its products from the Group’s experience. AS® Acoustic Shell is specialized in designing acoustic shells for optimal diffusion in Theatres and Concert Halls. 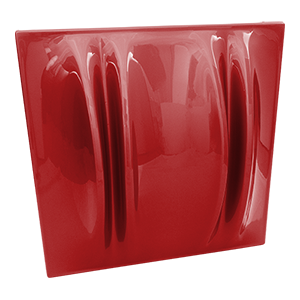 AS® sells and rents acoustic shells designed in the JOCAVI™ R&D laboratories. IN® Thinking about Industrial Insulation and the construction business segment, JOCAVI™made this line of products to face big space applications. In 2017 we launched AcousticShop™ to fulfil the needs of the american market. AcousticShop.net is an online shop that sells JOCAVI® Acoustic Panels in the United States. You can make your purchases easily and safely; we will take care of the transport to your address. All the products sold in our store are accompanied by grinding instructions and we also offer a consulting department to help you plan and recommend your acoustics needs. AcousticShop.net has a varied and thorough offer of high quality acoustic treatment panels that blend well with any decoration and are easily mounted on ceilings or walls, Several types of absorption and diffusion models deliver excellent performance levels. 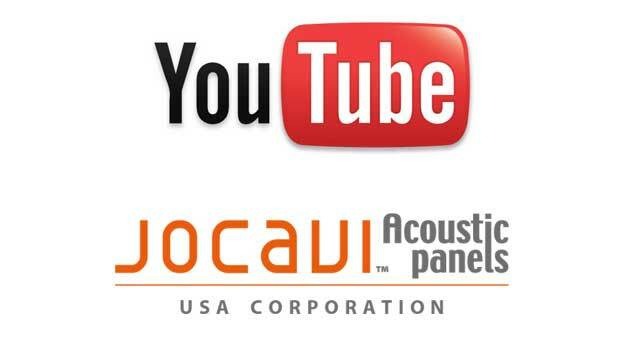 JOCAVI® is the leading brand in high-end acoustic panel development and production. Here you will find acoustic diffusers and bass traps of the highest category. With dozens of different models known for their excellent performance and made in an amazing range of colours and materials, JOCAVI® stands out for its experience and drive for innovation making it the largest and most versatile range of acoustic panels. 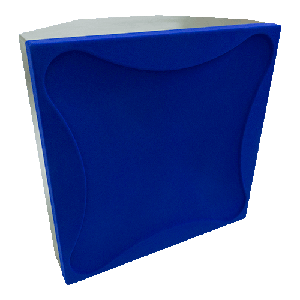 ATP® is JOCAVI®’s brand of cost-effective acoustic panels. With its extensive line of efficient and inexpensive products it provides accessible and efficient acoustic treatment options to all and, in particular to those projects that don’t need a large financial investment. With its own manufacturing facilities, equipped with modern machineries, ATP is still a part of JOCAVI, and shares the engagement and experience of this organization where quality standards must always be attained. AcousticShells® is a brand that sells and rents out highly specialized acoustic shells conceived in the JOCAVI® R&D laboratories. We prepare tailored projects for each specific location and provide long term rental contracts for events to be carried out on a continuing basis in the same location. We also sell permanent installations in theatres and auditoriums where the main activities require the use of these acoustic diffusers, along with installation. Thinking about the industrial insulation in the construction business segment, JOCAVI® created this range of products to face big space applications, such as manufacturing spaces, large hangars, public transport bays and sports stadiums. In this product line you’ll find various soundproofing and noise absorption products such as insulation rolls, antivibration hardware elements, noise dampening products, acoustic ink and metal perforated acoustic panels. Starting from the same principle of the calculations for Quadratic diffusers, we reviewed it with a new approach and add a new energy flow calculation theory that adds better scattering predicates and advantages. NEO 3Q® has a three grade design pattern, making the distribution of energy homogeneous and balanced within its effective frequency range. The phase grading surface of the NEO 3Q® is designed to provide a more uniform diffusion of the sound reflections radiated against it, mostly in the mid and high frequencies sound field. 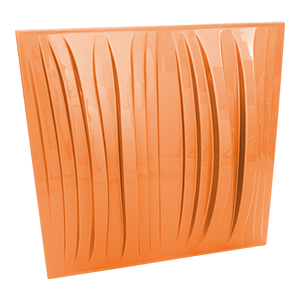 This model is made of ABS, with a composite filling of recycled materials, which gives itthis product a specific mass and also contributes to its consistence. NOVEN® is a perforated flat shape acoustic panel. It is made of a flexible open-cell Acoustic Foam with a rigid housing of perforated ABS, with coloured velvety finishing. This attractive product allows the combination of two colours. Commercial areas, public spaces, airports, offices and hotel foyers as well as restaurants, bars and pubs, meeting rooms, mid and large rooms can be easily acoustically treated with this effective and attractive solution, giving rooms an attractive appearance. NOVEN® can be applied on ceilings and walls. Commercial areas, public spaces, airports, offices and hotel foyers can be easily acoustically treated with this effective and attractive solution, giving rooms an attractive appearance. NOVEN® can be applied in large quantities on ceilings and walls. It can be applied with the provided glue, or, optionally with self-adhesive allowing a very fast and easy installation. The installation method was optimized to have a great effect in; restaurants, bars and pubs, meeting rooms, mid and large rooms, pavilions, auditoriums, etc. For many years the Quadratic diffusers became a classic shape in architectural acoustics. Jocavi revisited and made a new design of the oldest ever project of acoustic diffuser modules. NEO 6Q® has a nine stripe design pattern, making the distribution of energy homogeneous and balanced within its effective frequency range. In the cases where the reflections are disturbing the sound image and it is not advisory to add further absorption, diffusers are a very useful solution to reduce flutter echoes, early reflections, comb filtering etc. NEO 6Q® has a nine stripe design pattern, making the distribution of energy homogeneous and balanced within its effective frequency range. In the cases where the reflections are disturbing the sound image and it is not advisory to add further absorption, diffusers are a very useful solution to reduce flutter echoes, early reflections, comb filtering etc., these components must be placed on the disturbing surface so that these derogatory characteristics can be manipulated. 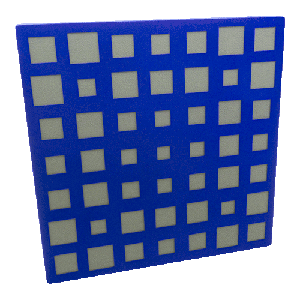 The LOWNOTE C® is a low frequency membrane absorbent panel. It is designed to fit into 90° corners, and its available tuning frequencies are 50Hz, 63Hz and 80Hz with a range coverage of absorption approximately 1/3 octave above and below the tuning frequency. It is developed to fine tune the modal distribution of small rooms such as studio control rooms, etc.. The ideology of the LOWNOTE C® is the Helmholtz Resonator with a defined throat hole, through the use of a box with ABS velvet finishing as the front membrane, thus creating the tuned resonant chamber. It is developed to fine tune the modal distribution of small rooms such as studio control rooms and home theatres. The principle used to develop LOWNOTE C® is the Helmholtz Resonator reasoning with a defined throat hole, through the use of a coloured engineered wood fibre board box with ABS velvet finishing as the front membrane, thus creating the tuned resonant chamber. Recycling means to repeat the life cycle continuously by giving new use to materials discarded by society. We´re increasingly concerned about using recycled, recyclable and environmentally-friendly raw materials. JOCAVI has an ecological product line, ECOiso line uses only 100% of natural raw materials, such as; cork, coconut fiber and wood fibers. The recycled materials used in the manufacture of Groutpaint come from paper, newspapers, magazines, textiles, packages, cardboard, wood and glass. The recyclable materials of our products consist of wood from self-sustainable forests, ABS, PETG, EPS, polyester, fabric, ceramics and chipboards. Our painting method uses water-base ecological paints with environmentally harmless dyes and components and no active solvents. Recycling offers an indeterminate number of advantages. It prevents soil and water contamination, reduces the volume of waste that goes to the sanitary landfills, generates jobs for many people and spares natural resources. Over the course of the years, we has become increasingly concerned and aware of the need to reduce inert matters that pollute the planet. This is an issue that concerns all of us and which the industrial world in particular must pay careful attention to. João Vieira's private collection was scanned with the original CD file format (WAVE at 44.1kHz, 16bit per channel) and to ensure the best listening quality, it is being broadcast using HE-AAC at 192kbps at 48kHz. Product Catalogues, brochures and specifications available here. 3D Acoustic Diffusion Scattering raytracing simulation videos available here. JOCAVI's database for acoustic simulation softwares are available here. Kindly fill out our consulting form and send it back to us. Have a look at JOCAVI's online portfolio here. Have a look at JOCAVI's newsletters here. Specific product certificates can be requested by email.